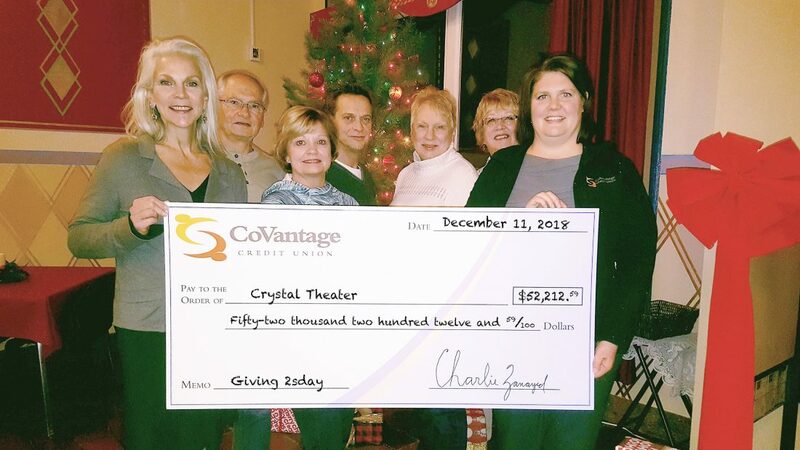 Katie Clark, far right, CoVantage Credit Union’s Crystal Falls branch manager, recently presented a check for $52,212 from the CoVantage Cares Foundation Giving 2sday campaign to representatives of the Crystal Theatre in Crystal Falls. They are, from left, Angie Dohl, Paul Dalpra, Beth Nelson, Paul Sundquist, Wilma Kalies and Cathy Haapala. 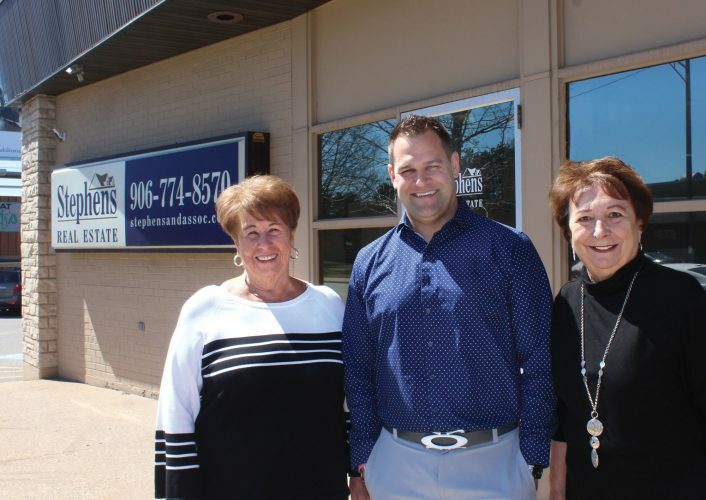 Nearly $307,000 was given to local non-profit groups in communities where CoVantage Credit Union has branches. The funds were generated by donations by CoVantage Credit Union members, staff, and community members who responded to the Foundation’s 2018 Giving 2sday campaign, which takes place immediately after Black Friday, with the understanding that contributions generated during the two-week effort would be matched up to $125,000 by CoVantage Cares Foundation. CoVantage has sites in Wisconsin in Antigo, Elcho, Crandon, Rhinelander, Shawano, Wausau, Weston, Rib Mountain, Rothschild and Stevens Point, plus Crystal Falls, Iron River and Menominee in the Upper Peninsula.